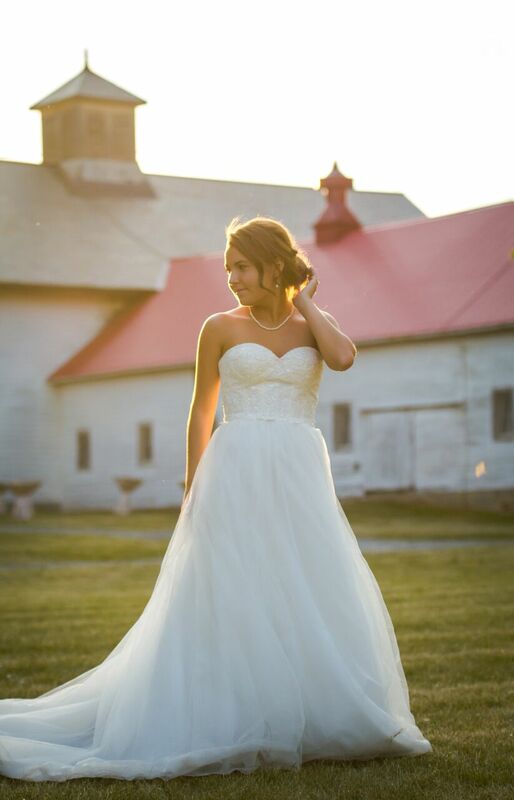 There was an amazing team on hand making this Albany barn wedding come together in a perfect way! First off, Christina and family hand crafted the chandeliers for the reception (just wait until you see them! 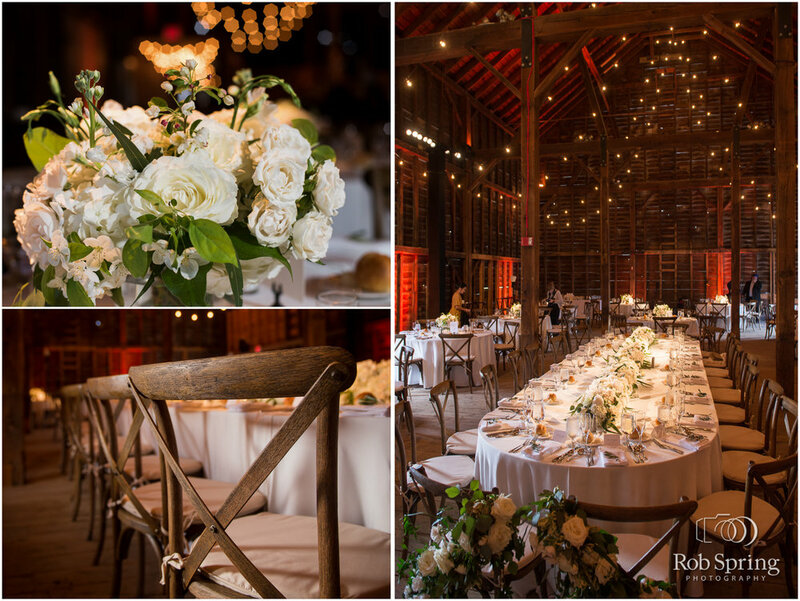 ), they had Renaissance Floral Design for florals and design, Body and Soul for music, Nicole's Catering for food and drinks, Will Beyer on video and of course, photos by none other than Rob Spring! 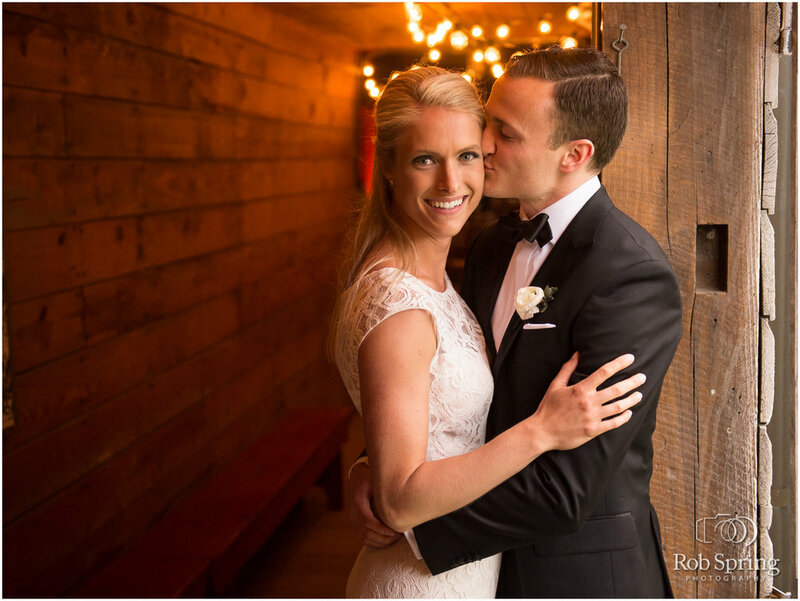 It was the perfect wedding day, with the perfect couple and ABSOLUTELY gorgeous details that made the barn look stunning! Alyssa and Dan's Albany barn wedding happened as the tail end of Hurricane Harvey swept over the area. Things were were, but everyone took it in stride and they had a party unlike any I've ever seen, so all of that extra luck that the rain brought turned into big-time party vibes! 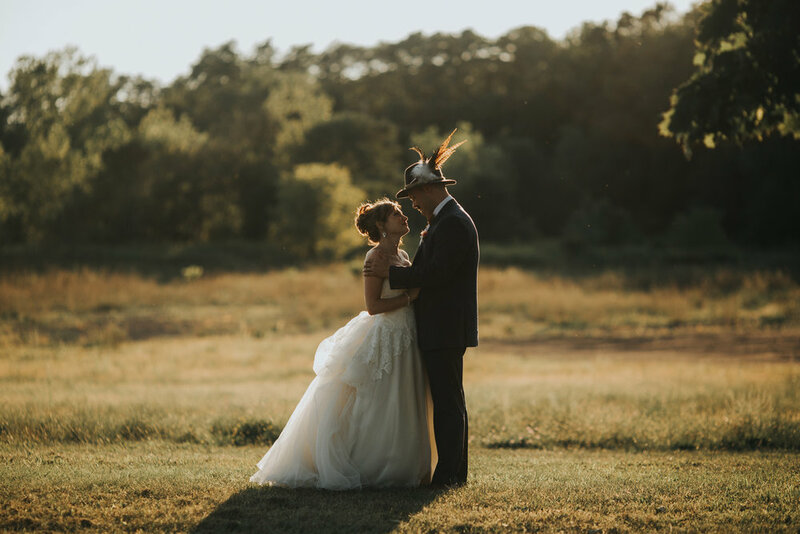 They had a stunning set up with the help of some great vendors - here's a huge thank you to everyone who made their wedding as dry as possible and simply perfect! Mazzone, Total Events, The New York Players, Fleurtacious Designs and Nicole Nero Studio (thanks for the pics, we love them!). 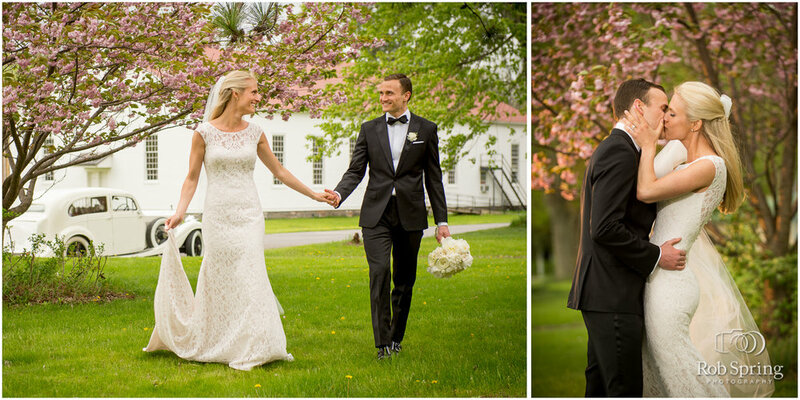 We were so happy to have Laura and Shane's wedding at our beautiful historic barn in Albany, NY this summer! They created a beautiful set up with the help of some great vendors and even had a rainbow appear over the barn their wedding reception! How great is that?! A huge thank you to everyone who made Laura and Shane's wedding absolutely perfect! Shelley Salon, EE Floral Design, NonStop Music, and Nicole's Catering and Nicole Nero Studio (thanks for the photos, we love them!). 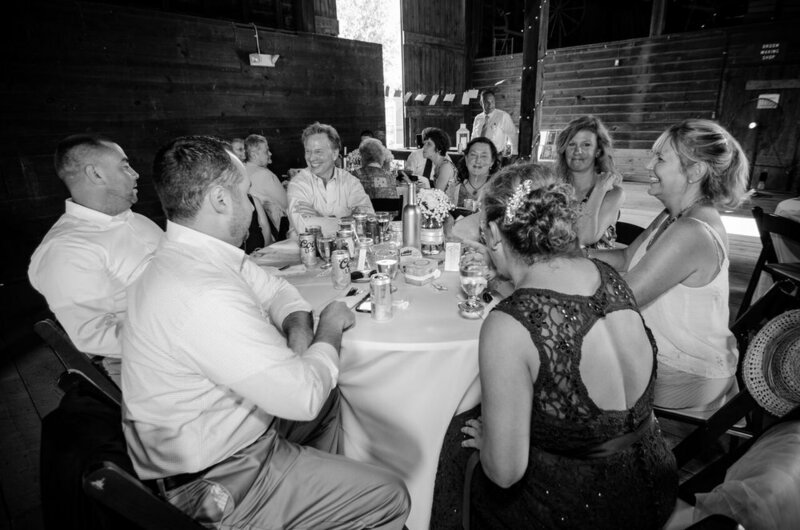 Thanks to Rob Spring for these AMAZING photos from a wedding earlier this season at Shaker Heritage Barn! We are in LOVE with them!!! It's tough to beat those gorgeous spring cherry blossoms and the the stunning set up they created with Renaissance Floral Design and Clift Park Rentals. It was GORGEOUS! Be sure to take a peek at the full blog on Rob's site, here! 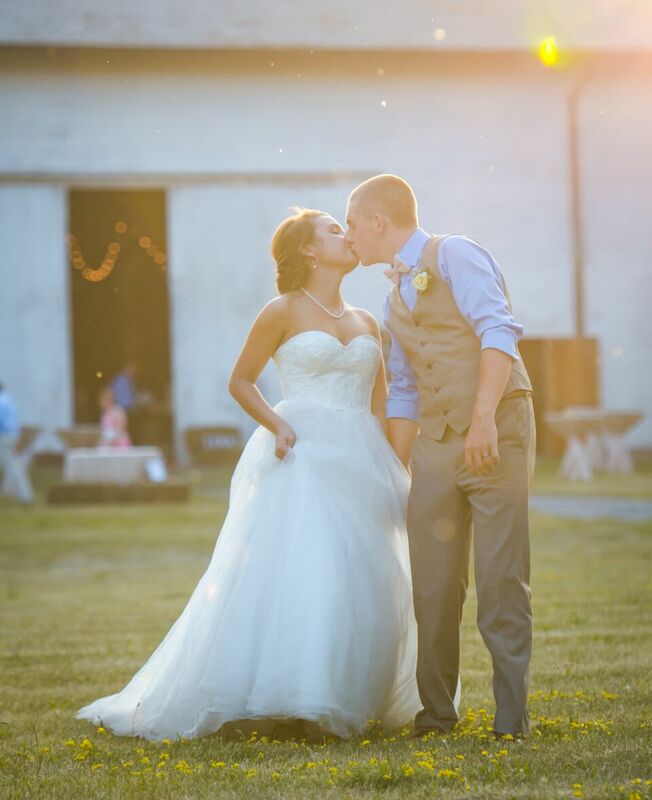 Aubrey and Jared planned the perfect wedding at Shaker Heritage Barn! The details were straight out of Pinterest (what more could a bride want?!) and they were a crazy-fun couple that were so in love! 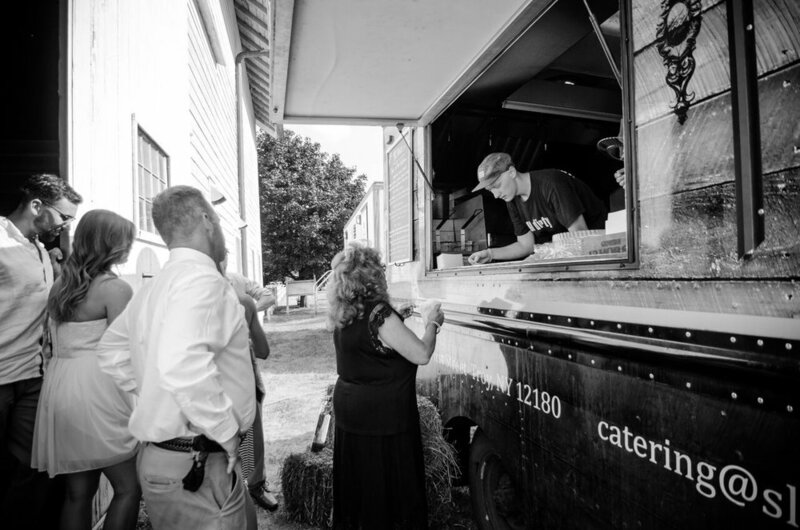 The set-up of the space was on point, as always, thanks to Total Events and the food was incredible, with sliders for days, thanks to Slidin' Dirty Food Truck Catering! 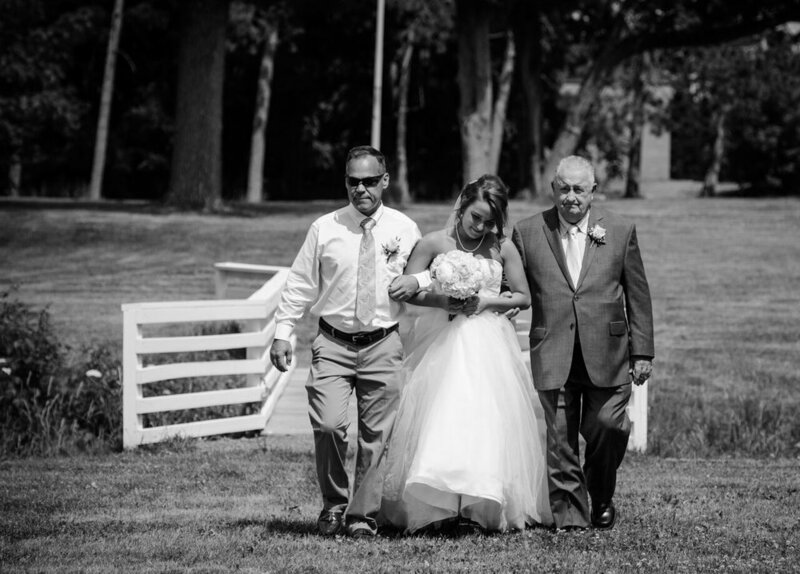 A big thank you to Ashley Green Photography for sharing her gorgeous images of their day with us! 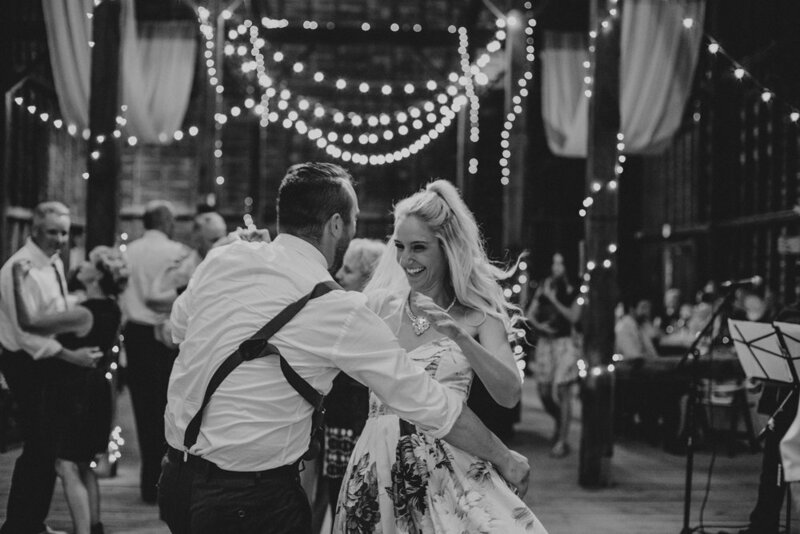 We love seeing beautiful weddings happen in our barn and this is one for the favorites list! 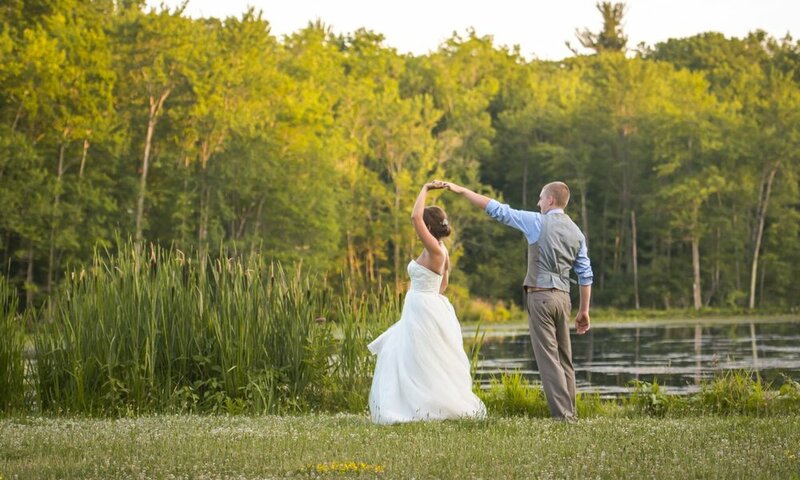 Congrats Aubrey and Jared, here's to a lifetime of beautiful memories! Jessie and Keven's Wedding Day! 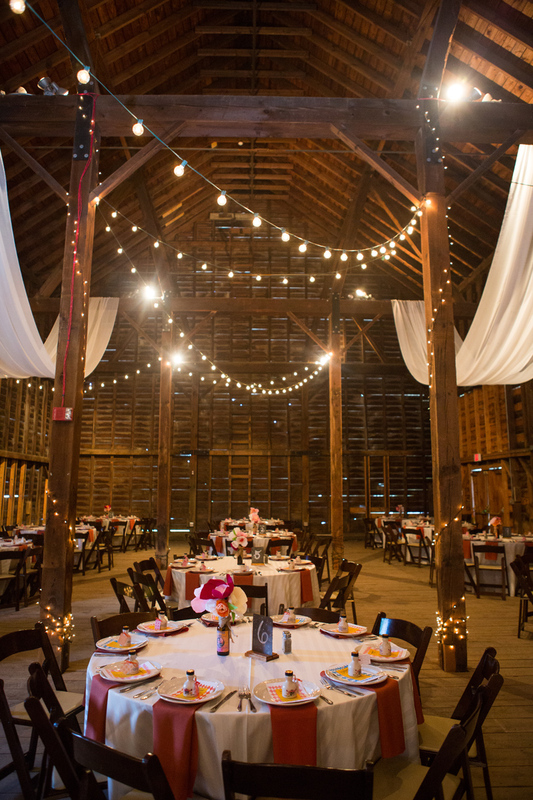 Our barn was in its glory during Jessie and Keven's wedding! The attention to detail was awesome and the decor brought in and set-up by Total Events was stunning! Another great part of the wedding was the bluegrass band, Citigrass from New York City that set the tone for an awesome party! Both of their families were big dancers and as you stood in the room you felt like you were in the middle of a music festival. 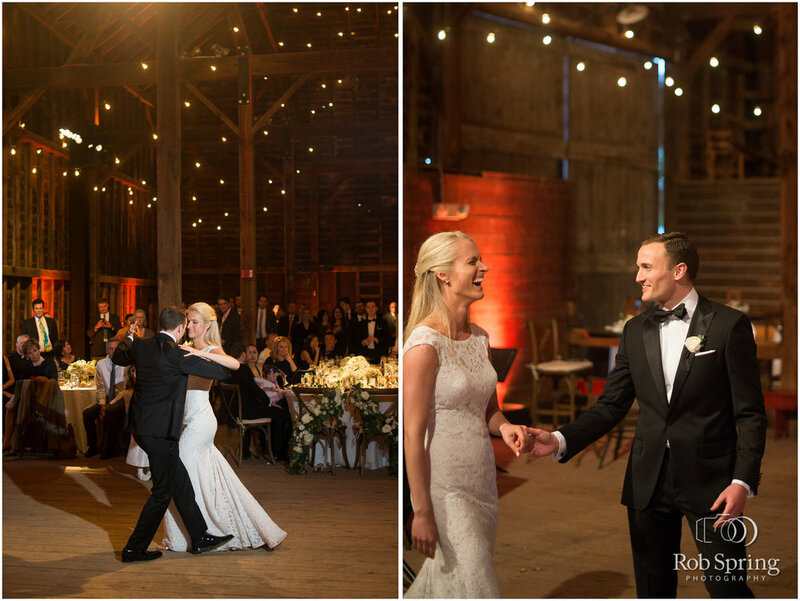 The barn was truly transformed and came alive during this wedding - we LOVED it! 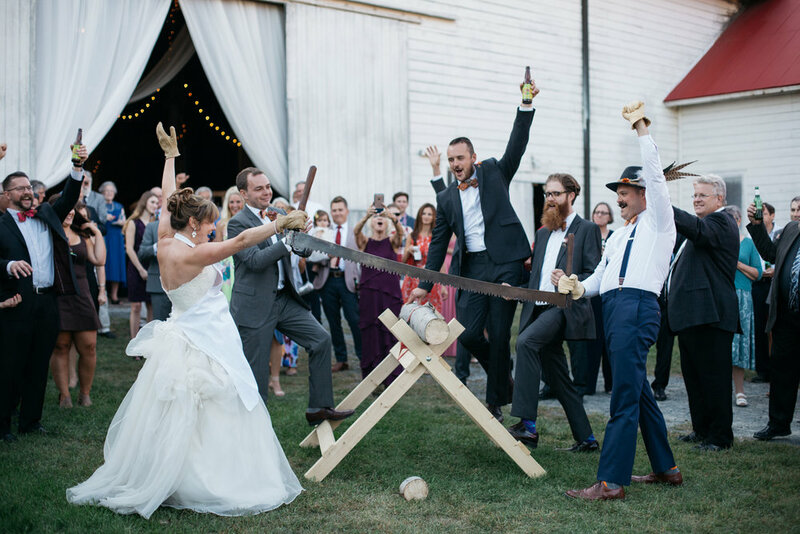 Lastly, the couple celebrated a German wedding tradition and together, worked to saw through a log (with much encouragement from their guests) and this represents the struggles you'll face during marriage and the teamwork needed to get through them together. Super cute, right?! Thanks to Nicole Nero for the cute photos!